Custom applications offer immense benefits for the businesses that take advantage of them. They offer unmatched versatility while connecting with customers directly in a personal manner. As a highly modern method of communication, apps allow you to bring your content in a curated manner directly to your customer, which can have a tremendous effect on your business. Convenience for the Customer: Apps give your customer direct access to the content you want them to see, understand, experience. They are custom-created for your needs, so customers are able to quickly engage and grasp the information you are presenting. 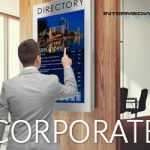 Intermedia Touch specializes in creating customized digital solutions of all varieties, which enables us to design, develop, and bring to life exactly what your vision entails. If your business is in need of an application to offer an interactive approach, while enabling your message to truly stand out in an unconventional, unique manner, allow us to bring your vision to life using the latest app technology. Visit https://intermediatouch.com/custom-apps/ to learn more!